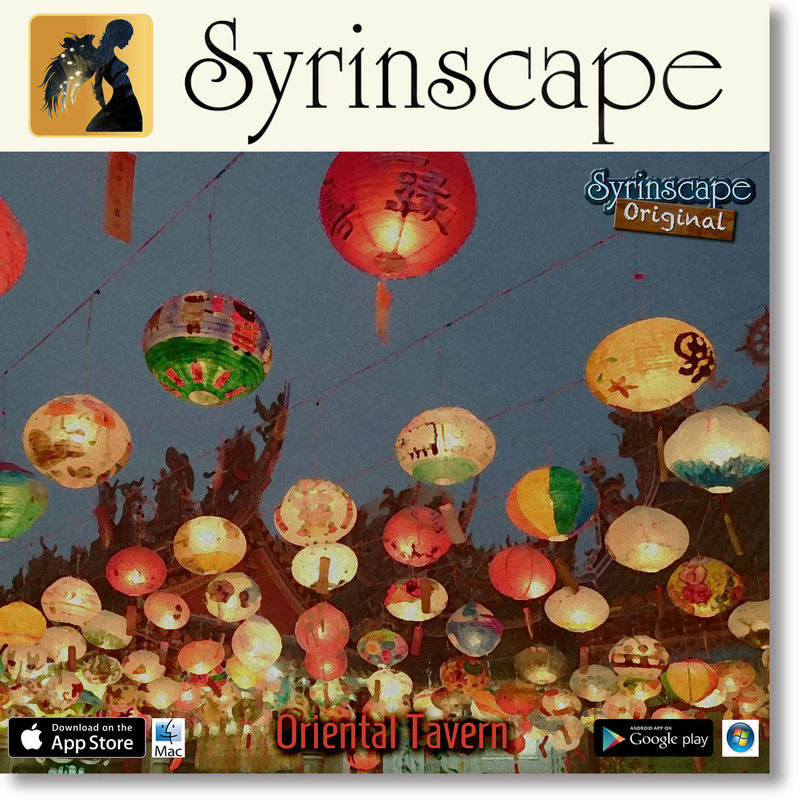 SYDNEY, AUSTRALIA (February 15, 2017) – Syrinscape, the award-winning soundboard app that creates movie-like, immersive sound for tabletop games, announces today the release of the Oriental Tavern SoundSet. Oriental Tavernjoins the ever-growing Syrinscape sound library, which also includes the official soundtracks to the Pathfinder Roleplaying Game, Starfinder Roleplaying Game, Mutants & Masterminds and more. The Oriental Tavern SoundSet is a must-have sound companion to themed tabletop games and is available on Syrinscape for $3.99, or as part of the Fantasy or SuperSyrin subscriptions. The award-winning Syrinscape apps bring fantastic, realistic sound to tabletop gaming and are compatible with nearly any mobile device or computer. Syrinscape’s Fantasy Player, Sci-Fi Player and Board Game Player apps are free to download and the official sounds of Pathfinder, Starfinder, Mutants & Masterminds, Catan and hundreds of other sound creations for nearly any tabletop game are available for sale individually or as part of the Supersyrin Subscription for $10/month.